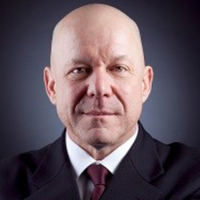 Will Heishman has over 25+ years’ experience in real estate banking and finance as well as in real estate fund investment and asset management in the U.S., Japan and Thailand. Stasia Capital NY, the NY branch of Stasia Capital, is a Tokyo-based firm providing international real estate advisory services and support in over 10 countries around the world. Mr. Heishman teaches graduate-school classes at Columbia University’s School of Real Estate Development and the NYU Schack Institute of Real Estate, where he has also served as Program Director for Executive Education. Prior to 2012, Mr. Heishman was Founder and President of Infinity Mortgage Co., Ltd., located in Tokyo, Japan. Fluent in Japanese, Mr. Heishman has a dual MBA/MA in Asian Studies from Cornell University.